Hello from the Grand Floridian! We leave this morning, and while I am sad to leave my favorite resort…I will be happy to sleep in my own bed, and see my husband and pups. We have a long drive ahead of us though. I am going to apologize for doing these recaps out of order, but a lot of my Jeff Galloway meet-up pictures are on my other camera, and I didn’t bring that cord with me to WDW, so for now I am going to tell you about the Princess half marathon expo. On Friday after the meet up, we had a little free time. I joined Kelly Olexa at the pool for a bit before heading over to lunch with some of the girls and then out with the group to Disney’s Wide World of Sports. I had a turkey sandwich and some zebra domes. It was a beautiful sunny day, and I was excited to pickup my packets and also do some shopping. We were greeted by sweet Laurie, the expo director who told us a bit about the in’s and out’s of a Disney race expo. Bob and Jennifer also spoke briefly (both awesome runDisney friends! ), and then we headed into the tent to get our bib’s for the 5k an half marathon. Word of advice, print your waiver before leaving home. I am so glad I did and didn’t have to deal with the hassle of the computer lines and such. Getting my 5k bib was seamless and simple, and I took some photos while I waited for the group. We then walked the red carpet (oh yes!) to the expo to get our t-shirts and do some shopping. I was ready, wallet in hand. After I got my shirts, I hit up the official merchandise and did some serious damage. Then I headed to the Running Skirts booth to see if Juli needed any help. I chatted with them for a bit until my mom, Karen, and her mom arrived. We did more shopping before going to check into our hotel. Since I have worked a Disney expo before, as well as participated in other runDisney races, I knew what to expect as far as the set up goes, but Princess had that whole new element of royalty and girly girl fun which I absolutely loved! QOTD: What has been your favorite race expo? We came, we played, we ran Disney! Half marathon number ten is complete. Today is our last full day in Disney, so I am going to go play, but I will be back to regular blogging soon with plenty of recaps and pictures. If you are new to my blog, hello! You can go fill in the blanks on some of my old posts and race recaps. Have a great day everyone, heading to Hollywood studios! QOTD: What is your favorite Disney park? Hey guys! I am having way to much fun to be sitting at my computer blogging. Full recaps to come later, I promise. I ran the Royal Family 5k this morning with some lovely ladies and we had an amazing time. Had a blogger meet up yesterday afternoon, and as you read this I am probably running the half marathon! Hae a great Sunday! Hello Friends! What a day! y time in WDW has been amazing so far thanks to runDisney and FitFluential. There is still a whole lot more in store so stay tuned. I am Tweeting as much as I can but I have NO cell service in certain areas so I am sorry for the delay sometimes! Thursday morning my dad dropped me off at the airport at 6 for my 8:40 flight. I landed and hopped on Magical Express and checked into Animal Kingdom Lodge. The good news is I had a savannah view room, but the bad news is it was all the way at the very end of the hall. Those of you familiar with AKL know what I am talking about. It’s quite the hike! I even brought my stalker zoom lens and made a few new friends off my balcony. I texted the lovely Kelly Olexa, and we decided to head to the pool for lunch and relaxation. After an hour or two, Meghann arrived and joined us at the pool. Kelly had to do some work, so Meghann and I decided to hit up Animal Kingdom. We had time before dinner and a 4 day park hopper to use! It was interesting being at the park so late when most people were leaving. Meghann rode Everest (I don’t like dark rides) by using our awesome media fastpass that lets you get a fastpass for the current time. it. is. awesome. We split a soft pretzel (so glad we did later, we ate LATE!) and headed back to the hotel to get ready for dinner. We met the others in the group in the lobby. But first, we had a goody bag in our rooms! we had an amazing time with amazing people and ate amazing food! Callie, Meghann, Kelly, me, Brittney, and Christie. Ok, time for the expo, (I am writing this Friday) more later! QOTD: What is your favorite place to dine in WDW? Good morning! When some of you are reading this I will probably be up high in the sky headed to Disney World! My flight is at 8:40 I think….I can’t believe this time tomorrow I will be in Disney! Another huge HUGE thanks to runDisney and FitFluential for this awesome opportunity. I am so honored to e a part of this fun weekend. Some of you have asked what I will be wearing, so here is my Belle tutu! I will be wearing a gold strappy tank with this skirt, so be on the lookout. If you see me be sure to say hello. My mom’s looks just like that but is light blue for Cinderella. 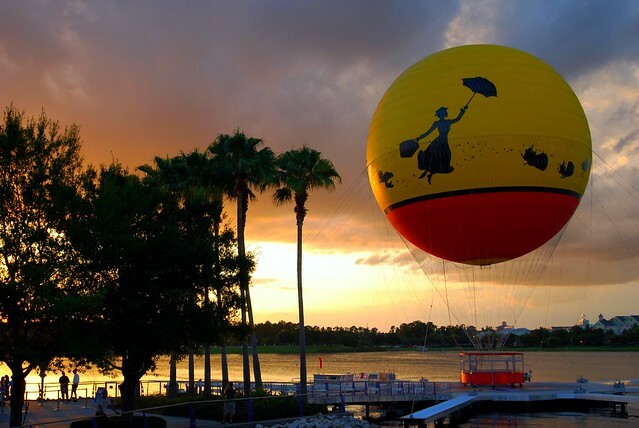 Those of you coming to the blogger meet up at the Grand Floridian, it is still on for Saturday at 3:00. Check out this post for more details. I have some great giveaways in store! If you have business cards, bring them, this will be a great networking opportunity! Remember to follow me on Facebook and Twitter (via the right sidebar) for all the updates. You can also follow #PrincessHalf all weekend, as I will be adding it to my tweets about the events! I will also add pictures to both accounts. This afternoon I am hitting the pool at Animal Kingdom Lodge! “See” ya from Disney, and for some of you, I will REALLY SEE you on Saturday or Sunday! Can’t wait, let the memories begin! QOTD: Who is your favorite Disney Princess? Good morning! I am in a fabulous mood, I leave for my parents today, then early tomorrow morning for DISNEY! I can’t believe it’s finally here. Karen and I have been planning this for a year. I finally got my schedule from run Disney, so I thought I would share with you some of the fun things I will be doing for the next 5 days. Thursday I fly in, check in to the Animal Kingdom lodge (a room to myself for the night!) Then will probably hit the pool or one of the parks. We don’t have to be anywhere until our welcome dinner that night. Friday morning we have the Tweet up and run with Jeff Galloway through EPCOT. Then, we have some free time before heading to the Expo and picking up our packets and doing some shopping. I told Juli who will be working the Running Skirts booth I would swing by and help her for a few minutes. Then my mom, Karen, and her mom meet me there and we go check in at the Grand Floridian and relax, aahhhh. Then that night it’s Pasta Party time in EPCOT! Saturday morning will have an early wake up call for the 5k, also in EPCOT. My mom is the only one not running this one so she will meet us at the finish. We will hang at the park some then I have to zip over to the kids races for a bit then I have more free time. My blogger meet up is at 3:00 at the Grand Floridian, then I have a special dinner with the runDisney folks at Via Napoli. Sunday morning is a REALLY early wake up call…I have access to the race retreat before the half, then me, my mom, and Karen will run the Princess half marathon. After the race, the official runDisney part of the weekend is over, but we are staying till Tuesday! We will go to the parks Sunday and eat dinner at 1900 Park Fare. Monday, we will hit up the parks again and then we have dinner at ‘Ohana, before we drive home Tuesday morning. WHEW I am exhausted just reading all of that, but I can’t WAIT either!!! Oh, also I plan to reveal my costume for the half on Thursday or Friday so stay tuned, and be sure to say hello if you see me! I can’t remember if I mentioned it or not, but a couple weeks ago I was sent to the YMCA when they were filming for a news segment. Our facility is brand new, so the news was profiling it, so I “worked out” on the elliptical during the segment. Here it is! haha. be sure to check out the other time I was on television. QOTD: Have you ever been on TV? What for? I warned you all on Twitter and Facebook yesterday that I had some exciting news to share. Some of my fellow bloggers have already shared so I figured it was my turn, too. As most of you know, I am running the Disney Princess half marathon next weekend. Well, I found out yesterday I was selected as one of a few lucky bloggers through FitFluential to be pampered like princesses all weekend long! WOO HOO! I will be coming in a day earlier than planned (flying) and staying at the Animal Kingdom Lodge before I switch over to the Grand Floridian to be with my mom, Karen, and her mom. I am so excited about this opportunity. I am also going to be running the 5k. Don’t worry, I will be tweeting and updating my little heart out, so you won’t want to miss any of it! Be sure you follow me on Twitter and my Facebook fan page. I don’t have an exact itinerary yet but will be sure to share with you when I do. All I know is I am so blessed, and I am going to have a blast. Not to mention, I get to hang with my mom, Karen and her mom until Tuesday, we are going to have so much fun, this is just the icing on the cake. QOTD: If you were really a princess for a day, what would you do? If you are running Disney’s Princess half marathon, I hope you are as excited as I am that we are about a month away! You may remember awhile back I put a poll on my right sidebar asking what day and timeframe will work best for everyone for a blogger meet up. Unfortunately, I cannot please everyone (unless there is interest in doing a second meet up at another time if a good number can’t attend the first.) So, I really hope all of the bloggers out there who are running the race will be able to swing by for a few minutes and hang out! WHERE: Disney’s Grand Floridian Resort and Spa , outside of Gasparillas quick service restaurant, in front of the marina (with a great castle view!) I chose this spot for a number of reasons. 1.) It has a castle view, duh. 2.) There are a lot of outside tables and umbrellas for us to all hang out 3.) If there is inclement weather, we can just go inside of Gasparillas and meet up at their indoor tables 4.) If someone wants food or a snack they can run into Gasparilla’s and grab a drink or what not. Also, the Grand Floridian is on the monorail, so anyone coming from or going to EPCOT or the Magic Kingdom before or after the meet up will be very close by. WHY: Blogger meet up! There will be pictures, giveaways, and a chance to network. If you have a blog business card, BRING IT! Bring a whole stack, hand them out, and make new friends. Who knows, you may even meet someone who lives near you. You may even find a running buddy for the race the next day! If you are staying on property, the best way to get to the Grand Floridian is to take a bus to the Magic Kingdom then hop on the monorail. If you are at EPCOT, take the monorail to the TTC and switch to the resort monorail. If you are at another park, then just take the Grand Floridian bus. –If you are coming from the monorail, it will let you off on the 2nd floor of the lobby. Take the stairs or elevator to the 1st floor of the lobby and go out towards the back left down the hallway (the Gardenview tea room will be on your right) Go straight out the doors next to the Grand Floridian café and follow the covered porch/walkway to the left and you will see the Marina and Gasparillas. –If you are coming from a bus, it will let you out next to the lobby. Follow the covered walkway through the main entrance and then follow the ground floor directions above. -If you are driving: Self parking at the Grand is across the street. Park in the lot, cross the street and stay on the walkway until you get to the main entrance/ building then follow the ground floor directions above. The yellow X above marks the spot! If you have any other fun ideas for the meet up please e mail me at runningwithsass@gmail.com. I would love to hear them! I wanted to go ahead and get a day and time out there so people can start making plans. *If you have not yet booked your travel for the race yet please e mail me at heather@travelwiththemagic.com. My services are totally FREE and I would love to help you plan your trip! *Don’t forget to enter my giveaway! How it All Began: Have you ever wondered how/when/why I started distance running? Here’s the story! Five Years and Counting: Bobby and I celebrated our 5 year wedding anniversary! On Friday morning, I had the privilege of having coffee with Sarah. If you aren’t following her blog or following her on Twitter, you should! She is so inspiring, and was in town to run TWO marathons in two days in preparation for her 100 mile race coming up. Holy cow! I first met Sarah when she came to say hi at Rock N Roll St. Louis when I was working the Running Skirts booth, so I was thrilled to see her again! Speaking of Newtons, Saturday I ran two miles in mine. My calves were a little sore, but once again I am being proactive and stretching and foam rolling a lot so it hasn’t been as bas as I imagined it would be. This week I will move up to a 3 miler and 4 miler and see how the foot does. So far so good! I have still been lifting weights 4-5 days a week and I am getting some serious arm muscle! I love when I can actually see a difference. I will have to post a picture for you soon. I have guns now! Bam! I am brainstorming ideas of locations for the Princess blogger meet up, as well as ideas for door prizes, or any other fun things to do at the meet up. If you have any ideas, leave a comment or e mail me at runningwithsass@gmail.com. I am thinking OUTSIDE of a park would be best since not everyone will have tickets or park hoppers. If you are a blogger attending Disney’s Princess half, please vote on the right side bar of my blog on a day and time for the meet up. I have also started brainstorming for my costume for the race! Bella still hates her sweaters. It doesn’t help that we torture her a little when we put it on her. Do you remember when I did a Christmas post on my favorite things to buy for gifts? One of those gifts was Clocky, the alarm clock that runs away. Well, my husband read said post, and bought Clocky for me! I can now say from personal experience, the little joker does indeed run away from you…usually underneath your bed where you end up trying to whack him with something to get him within your reach to turn him off. QOTD: Do you get up as soon as your alarm goes off, or do you hit the snooze? *I added frop down menus to some of my menu items across the top of my blog, under my header. Take a look around, I added some sub pages, and more to come!